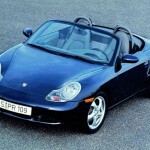 Coinciding with fifteen years of Porsche Boxster production, the Stuttgart company has also broken the 300,000 units barrier – including sales of the Boxster-based Cayman coupé – which was introduced in 2006. 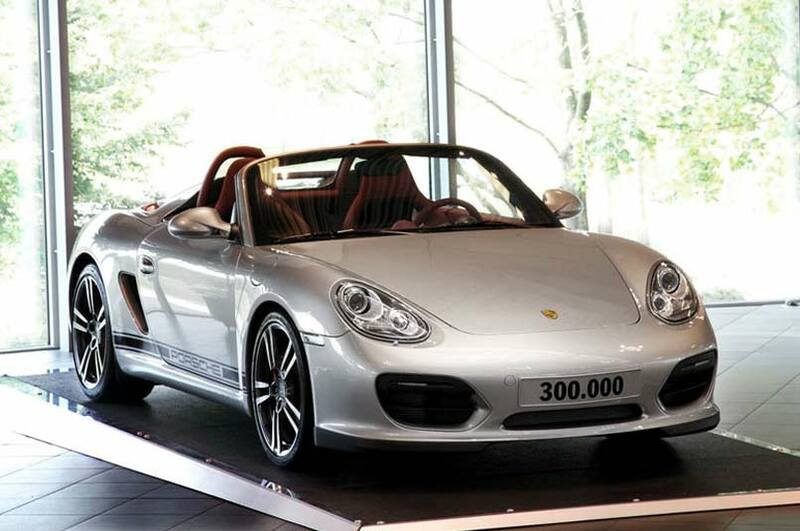 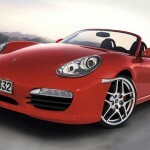 The 300,000th model was a Boxster Spyder in Platinum Silver metallic with Carrera red natural leather upholstery. 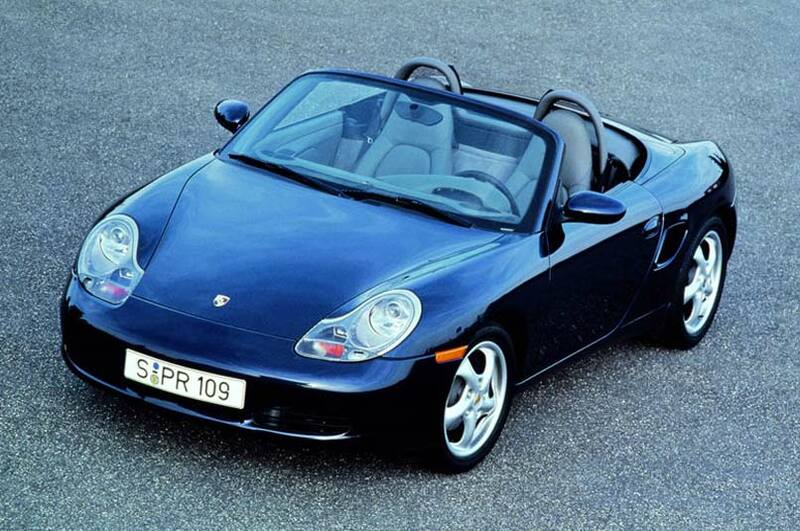 When the first-generation Boxster hit dealerships in late 1996, it was powered by a 2.5L flat six-cylinder engine, and it was also Porsche’s first road vehicle since the 550 Spyder that was specifically designed as a roadster. 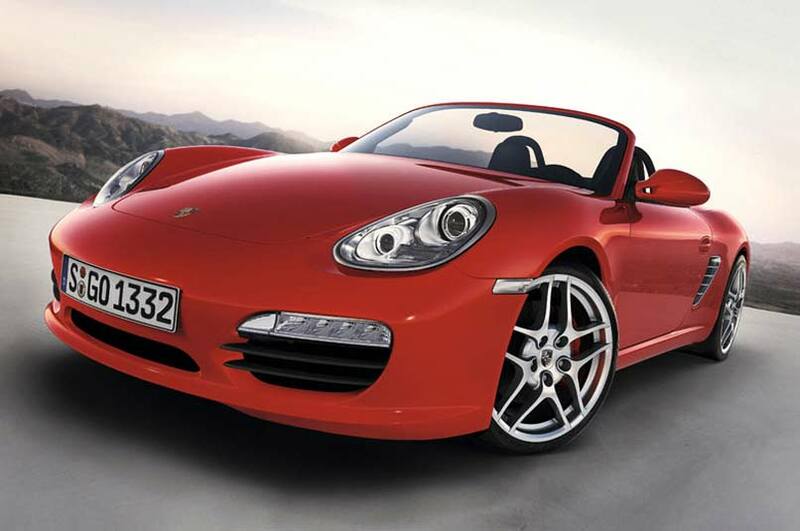 These days, more models are available, such as the Boxster and Cayman S, and S Black Editions, right up to the 330 hp Cayman R Coupé – the most horsepower available in a mid-engined Porsche. 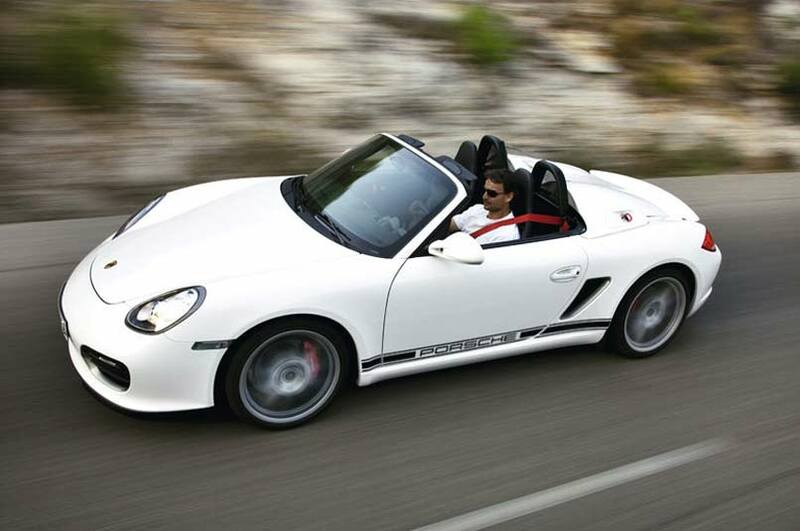 And, looking to the future, the electric-powered Boxster E gives us a taste of things to come.